243. How do aneurysms cause clinical symptoms? 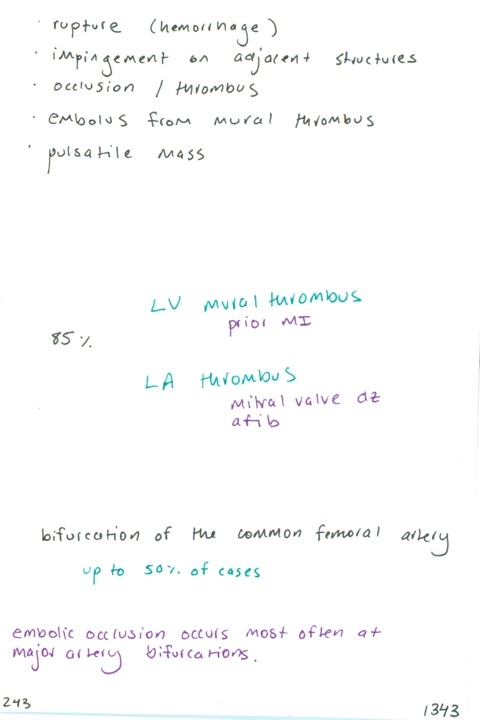 / What % arterial emboli originate from a cardiac thrombus? / What is the most frequent site of arterial embolism?